*New or Used Auto Loans over $5,000. Not valid on refinancing of current TCAFCU auto loans. Limited time only. While supplies last. *APR = Annual Percentage Rate. Rate is subject to change. The rates stated above are the lowest rates offered and assume less than 90% loan to value. 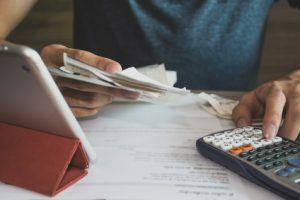 Actual Annual Percentage Rate(APR) may vary based on creditworthiness, age of vehicle, loan-to-value and terms of the loan. Not all members will qualify for the lowest rate. Auto Loan Payment Example: $10,000 for 36 months at a rate of 2.74% APR is a monthly payment of $289.67. Rate disclosed includes .25% discount for automatic payment from a TCAFCU account. *APR = Annual Percentage Rate. Rate is subject to change. The rates stated above are the lowest rates offered and assume less than 90% loan to value and mileage less than 100,000. Actual Annual Percentage Rate(APR) may vary based on creditworthiness, age of vehicle, loan-to-value, mileage and terms of the loan. Not all members will qualify for the lowest rate. Auto Loan Payment Example: $10,000 for 36 months at a rate of 2.99% APR is a monthly payment of $290.77. Rate disclosed includes .25% discount for automatic payment from a TCAFCU account. *APR = Annual Percentage Rate. Rate is subject to change. The rates stated above are the lowest rates offered and assume less than 90% loan to value and mileage less than 100,000. Actual Annual Percentage Rate(APR) may vary based on creditworthiness, age of vehicle, loan-to-value, mileage and terms of the loan. Not all members will qualify for the lowest rate. Auto Loan Payment Example: $10,000 for 48 months at a rate of 5.49% APR is a monthly payment of $232.52. Rate disclosed includes .25% discount for automatic payment from a TCAFCU account. **Xpress Check Get pre-approved for an auto loan and you’ll receive an Xpress Check to purchase your vehicle. You’ll have the power to negotiate the best bottom line price, because you already have the check in hand when you visit the dealer. It’s a great way to get the car you want at the price you want. Are you ready to explore the world a new RV? 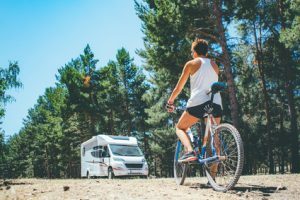 If you are looking for a RV, motor home or travel trailer, our Recreation Equipment loans may be just what you need. APR = Annual Percentage Rate. Rate is subject to change. The rate stated is the lowest rate offered. Rates above assume mileage less than 100,000. Maximum LTV is 90%. Actual Annual Percentage Rate (APR) may vary based on creditworthiness, age of vehicle, loan-to-value, mileage and terms of the loan. Not all members will qualify for the lowest rate. Loan Payment Example: $15,000 for 72 months at a rate of 7.80% APR is a monthly payment of $261.54. Rate includes a .25% discount for automatic payment from a TCAFCU account. Need to get a payment here fast? We now accept payments by credit card! For more information, contact a Lending Specialist at 610.326.3705! A personal line of credit gives you access to extra cash whenever you need it. For extra security you may use a personal line of credit to provide overdraft protection for your Tri County Area FCU checking account. *APR = Annual Percentage Rate. Rate is subject to change. Actual Annual Percentage Rate(APR) may vary and not all members will qualify for the lowest rate. A share secured loan will help you establish credit or rebuild your credit history. Need to get a payment here fast? We now accept payments by credit card! For more information, contact a Lending Specialist at 610.326.3705! 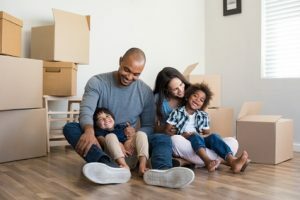 Owning a home brings many benefits. Whether you are purchasing a new home or interested in refinancing your current mortgage, we are here to help! Applying online is easy. Simply click on the link below to get started. *$200 Visa Gift Card will be given at loan closing for new home equity loans and home equity lines of credit >$10,000, secured by a primary residence. Not valid on refinancing of current TCAFCU loans. Limited time only. While supplies last. *APR = Annual Percentage Rate. Rate is subject to change. The rates stated above are the lowest rates offered. Actual Annual Percentage Rate (APR) may vary based on creditworthiness, loan-to-value and terms of the loan. Not all members will qualify for the lowest rate. Loan Payment Example: $10,000 for 180 months at a rate of 5.50% APR is a monthly payment of $81.71. APR = Annual Percentage Rate. Rate is subject to change. The rates stated above are the lowest rates offered. Actual Annual Percentage Rate (APR) may vary based on creditworthiness, loan-to-value and terms of the loan. Not all members will qualify for the lowest rate. Loan Payment Example: $10,000 for 180 months at a rate of 6.50% APR is a monthly payment of $87.11. 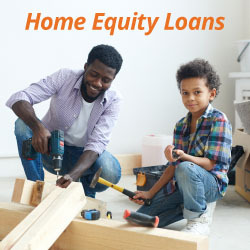 The Home Equity Line of Credit has a variable rate feature and the Annual Percentage Rate (APR) and the monthly minimum payment can change as a result. This variable rate is based on prime and can change quarterly. Your rate will not be less than 4% APR (floor rate) or greater than 18% APR (maximum allowed by law). The minimum monthly payment is $100.00. Actual Annual Percentage Rate (APR) is based on an index and may vary according to creditworthiness, loan-to-value and terms of the loan. Apply for a student loan! Simply click on the link below to get started! Refinance your existing student loans to lower your monthly payments and reduce the interest rate! Simply click on the link below to get started!